The MiniPro USB 3.1 is a high-performance Solid State Drive (SSD) built with 3D NAND flash for optimum performance and reliability. No moving parts inside the SSD allows for ultra-silent operation - excellent for quiet environments. The stylish design features a durable aluminum body engineered to provide maximum protection and effective heat dissipation. 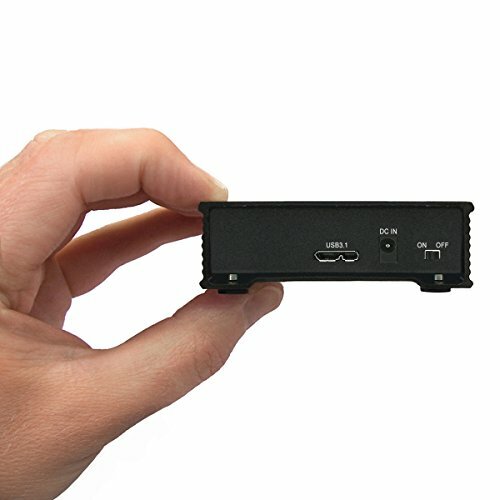 The MiniPro USB 3.1 is compatible with USB 3.1/ 3.0 / 2.0 and is capable of speeds in excess of 500 MB/sec when connected to a USB 3.1 port. The drive is powered using the included USB cable or an optional external power adapter (not included). The MiniPro is designed and assembled in the USA and backed by an Oyen Digital 3-year warranty.